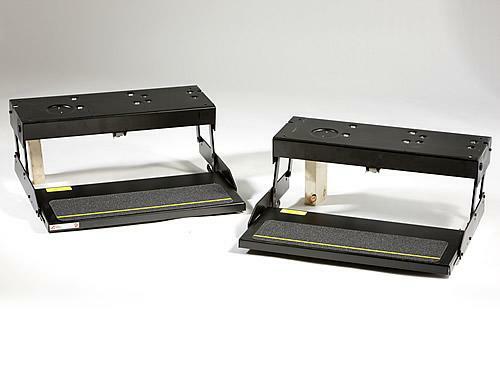 Kwikee is the premier manufacturer of electronic and manually operated steps. The vast range of single, double and triple steps are designed to suit most vans, buses, motorhomes, caravans and RVs. Intelligent – Powered steps feature a load sensing automatic shut down if the step strikes an obstacle. Kwikee Steps allow easier access to vehicles with high ground clearance, with the versatility of automatically folding away when the door is closed on the vehicle. * Chassis strength and mounting area may reduce load bearing capacity.